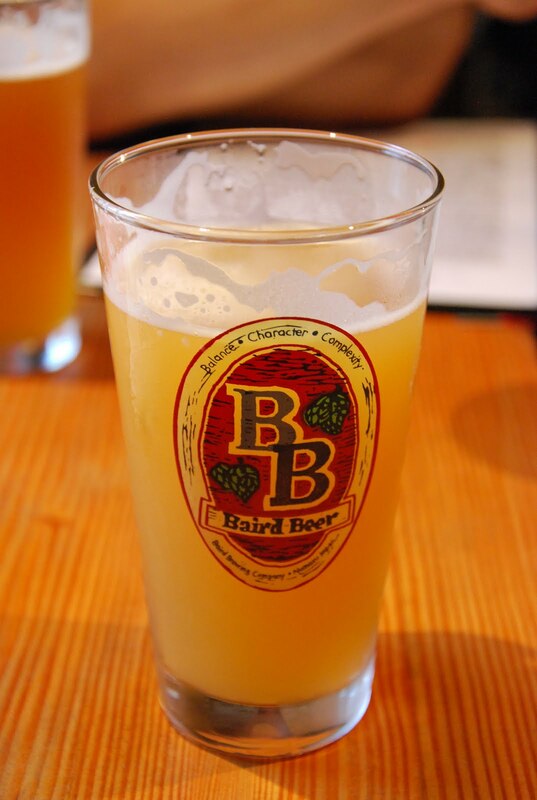 Some of Baird's beers make a claim to using "soft" Numazu water, which is local to the brewery. And let me tell ya, you really can feel its "softness". This beer is absolutely silky on the tongue. So much so I didn't want to swallow the damn thing, just swirl it around my mouth. 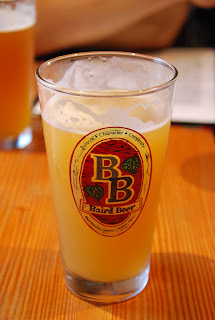 In terms of flavor, it's similar to a Belgian wit, but instead of strong banana bread like flavors, this one highlights the ever famous Japanese ume plum. I love ume, the entire time I was traveling in Japan I had to have pickled ume stuffed in rice balls with every meal. And the most distinct flavors from this delicate fruit showcase very nicely in this beer. I could drink this all summer long, and it makes me sad that I can't find anything like it in San Diego. As much as I love Lightning's Thunderweizen, I dare say I crave this beer more. Crazy, I know. Glad to see Japan is producing quality craft beers with local influences.